We celebrate Palm Sunday together during our 9:30am Sunday worship the Sunday before Easter, beginning our observance of Holy Week. On Maundy Thursday at 5pm we join together with Stella Lutheran Chapel for a service of full communion and hand/feet washing in remembrance of Jesus’s grace and service for the world. Click here for the event Facebook page. 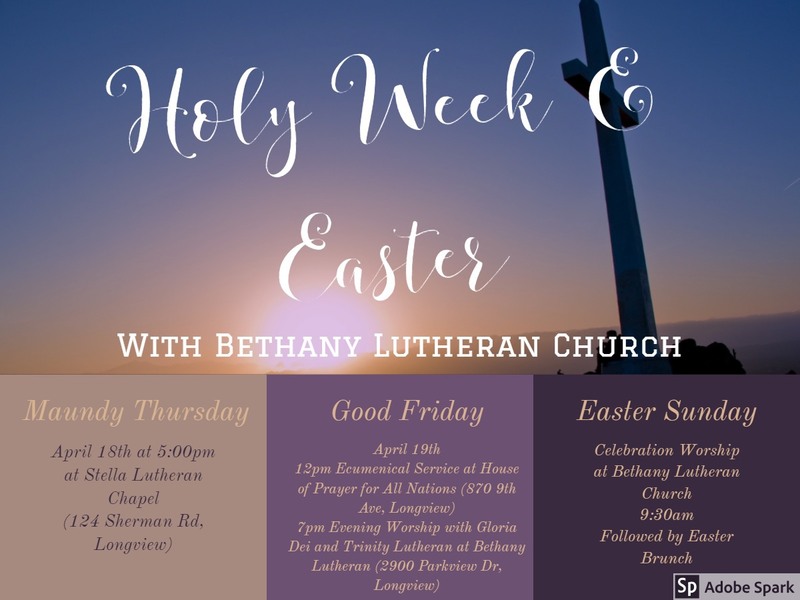 On Good Friday, at 7:00pm Bethany hosts an evening worship service with Gloria Dei Lutheran and Trinity Lutheran Church at Bethany Lutheran. Together we pray around the cross, and remember Jesus’s death, looking with hope towards Easter Sunday. 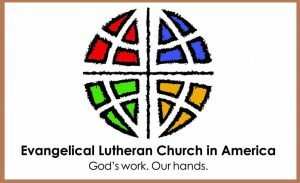 Also in recent years Bethany Lutheran has participated in the 12pm community worship service hosted by the Kelso-Longview Ministerial Association. This year we will be joining together at House of Prayer for All Nations for worship. Click here for the event Facebook page. We celebrate Easter Sunday together during our 9:30am Sunday worship. This will be a full communion worship service with a children’s message, sermon, and lots of music and prayer as we celebrate the resurrection of Jesus!